During the 2nd World War the Burbage Basin, below Burbage Edge was used as a military training area and there is still plenty of evidence of that today. You don’t have to look very hard to find huge boulders covered in bullet holes and marks from mortar shells. Usually the holes in the rocks are just one one side as they were used as targets whilst practicing attacking uphill positions. This gritstone boulder is just off the main ‘Sheffield Country Way’ path through the valley, but there are lots more spread over a wide area. The magnificent Salt Cellar Boulder stands on Derwent Edge, high above Ladybower Reservoir. 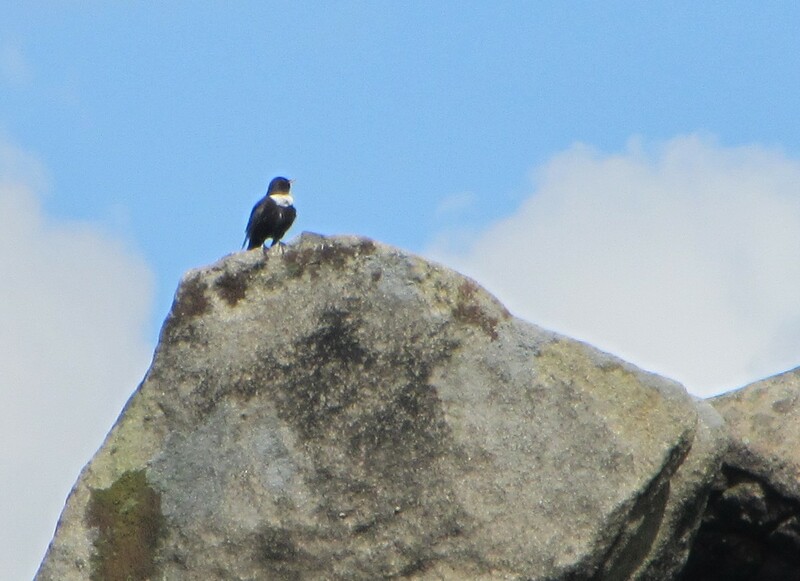 It is one of the many points of interest on our ‘Derwent Edge and Hills around Ladybower‘ guided walk. It is gritstone and part of the long ridge of stone known by geologists as The Chatsworth Grit that runs down the east side of the Peak District. 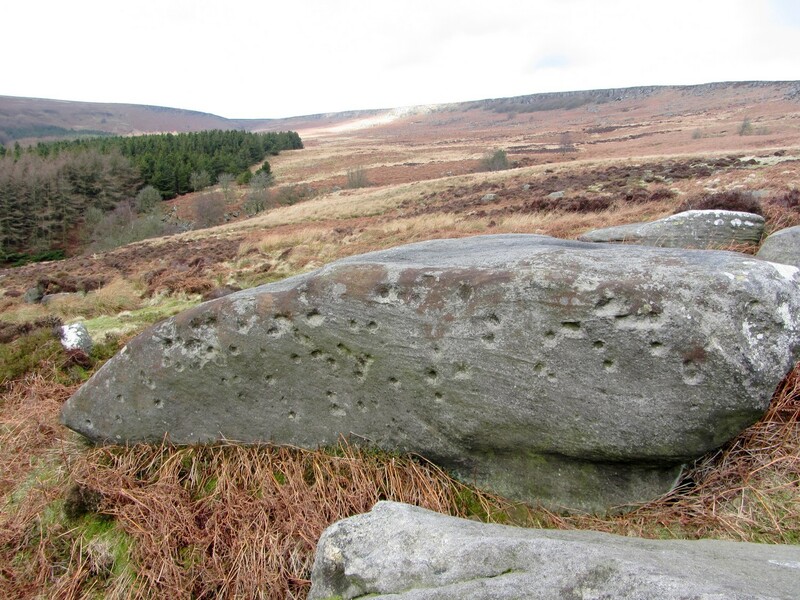 Stanage Edge, Millstone Edge, and Curbar Edge are all the same type of stone. The stone was formed around 320 million years ago when the area was in a huge river delta. The grit was washed down the river from mountains further north and deposited in a wide area. Sometimes there would be layers deposited containing mud which would form softer rock. As it has become exposed to the elements in later years, these softer deposits have eroded, so the layers can be clearly seen in the rock. Salt Cellar Boulder is so called because many people feel it’s shape resembles a salt pot. Our next Derwent Edge and Hills around Ladybower open group walk which passes Salt Cellar Boulder is one Sunday 7 April 2013 and bookings are now being taken. Alternatively you can enjoy this guided walk on a date to suit yourself by hiring a personal walking guide.